Cora U. Smith describes her booklet of poetry Ramod (1970) as an epistle of bitter knowledge. She is also the author of If the Shoe Fits Wear It; Through Hell in a Handbasket; Hello! Hello! Party Line; and The Morning and the Evening. 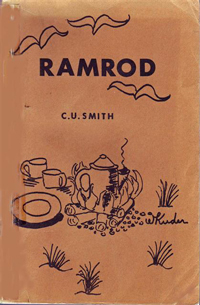 A copy of Ramrod can be found in the Bainbridge Public Library local authors collection.